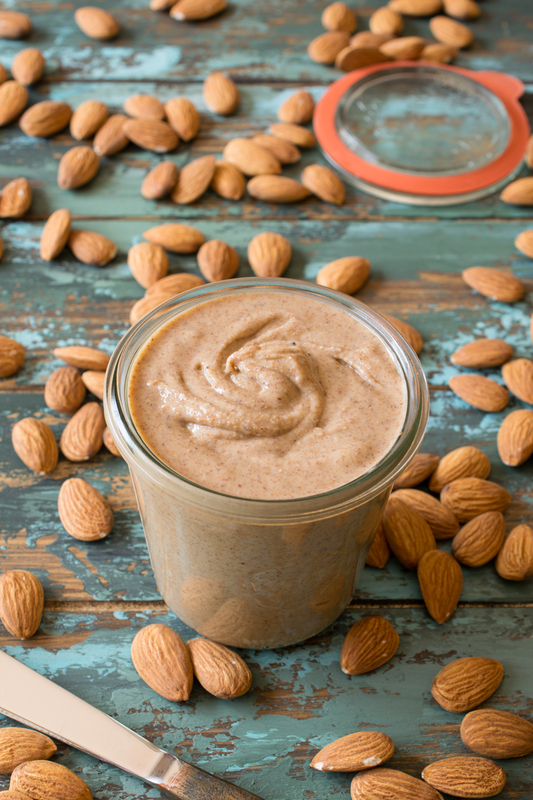 You won’t believe how easy it is to make your own almond butter! 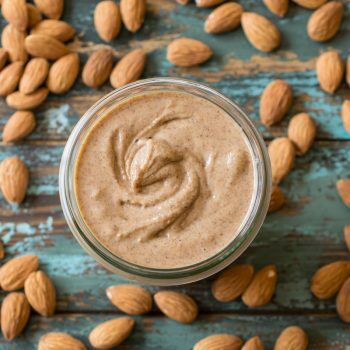 After one taste of this creamy, smooth and delicious Homemade Almond Butter – you’ll never buy the jarred stuff again! But we’ve got good news: You can easily make Almond Butter at home for a fraction of the price. Plus – it tastes so much better! 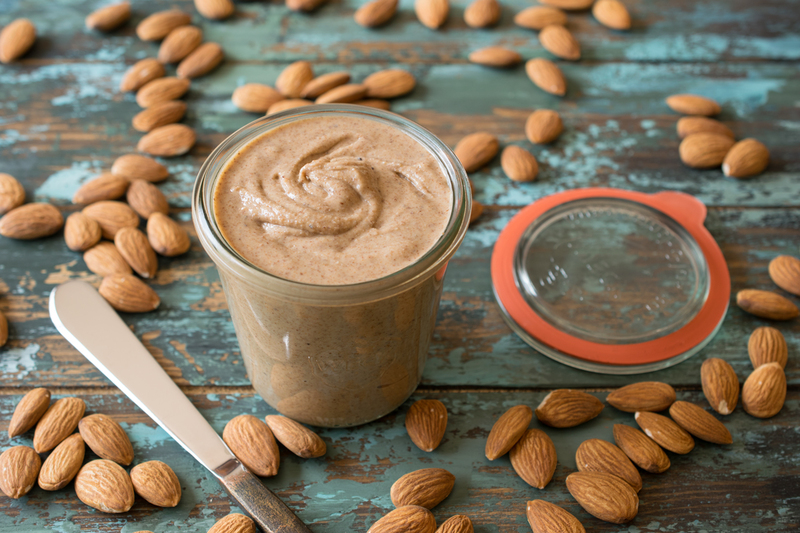 With just one ingredient, this Homemade Almond Butter recipe couldn’t be any easier to make. 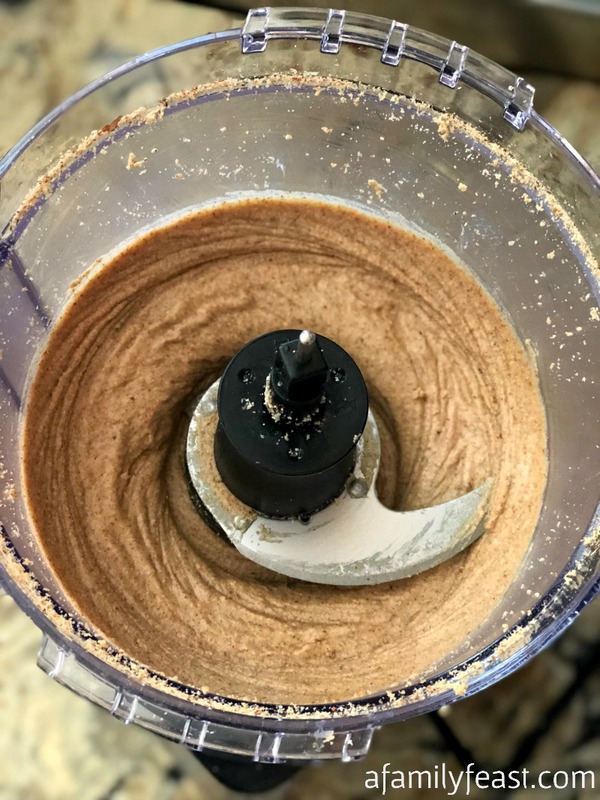 In fact, today’s post is really more along the lines of showing you a method for making your own nut butters at home – and once you’ve mastered making homemade almond butter, you can do the same with peanuts, cashews, or any other type of nut you enjoy! We start by roasting the almonds in the oven for about five minutes. Roasting the almonds first gives the finished almond butter a delicious, rich flavor, plus the warmer nuts will process easier into butter too. 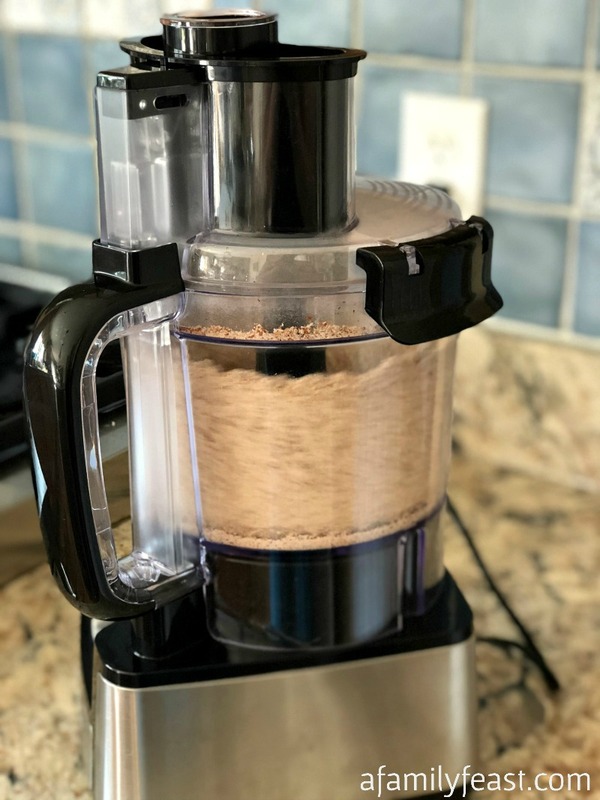 Place the warm nuts into a food processor, lock in the lid, and process on high until smooth and creamy – about ten to fifteen minutes depending on the size and power of your food processor. You may need to scrape down the sides of the bowl occasionally to make sure all of the almonds are processed. And – if your food processor seems like it’s starting to overheat – by all means, take a break from the processing until it cools down. Once your almond butter is smooth and creamy – stop the processing and pour into a jar (we like these jars from Weck) or other air-tight container. 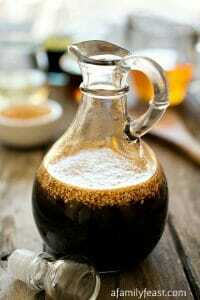 (If you process for too long, the oils will start to separate and you’ll lose that creamy consistency.) 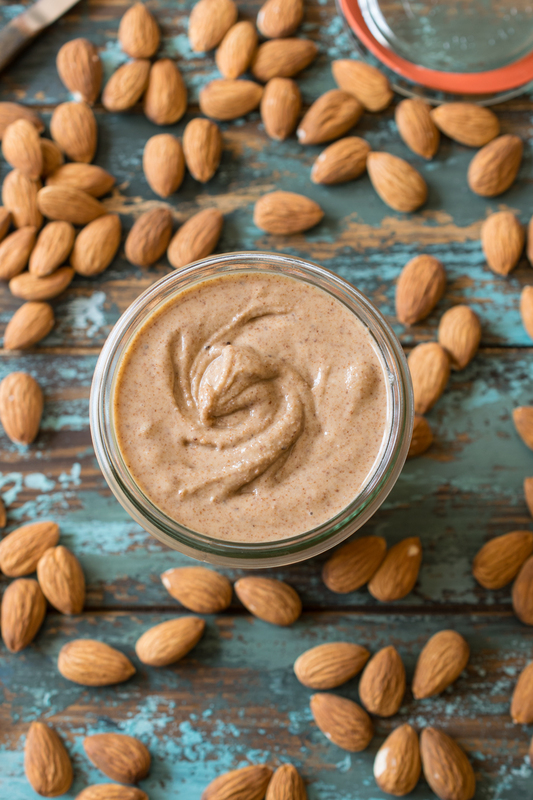 Keep your Homemade Almond Butter in the refrigerator for up to two weeks (if it lasts that long!). Although not listed in the ingredients above, you can also season your Homemade Almond Butter – with salt, cinnamon, or even honey. Just be aware that adding ingredients like honey may shorten the shelf life of your almond butter a bit. P.S. Make these delicious Almond Butter Oatmeal Chocolate Chip Cookies with this almond butter! We like our almond butter as is but for added flavor, feel free to add salt, honey, etc. But be advised that adding additional ingredients may shorten the shelf life of the finished almond butter. 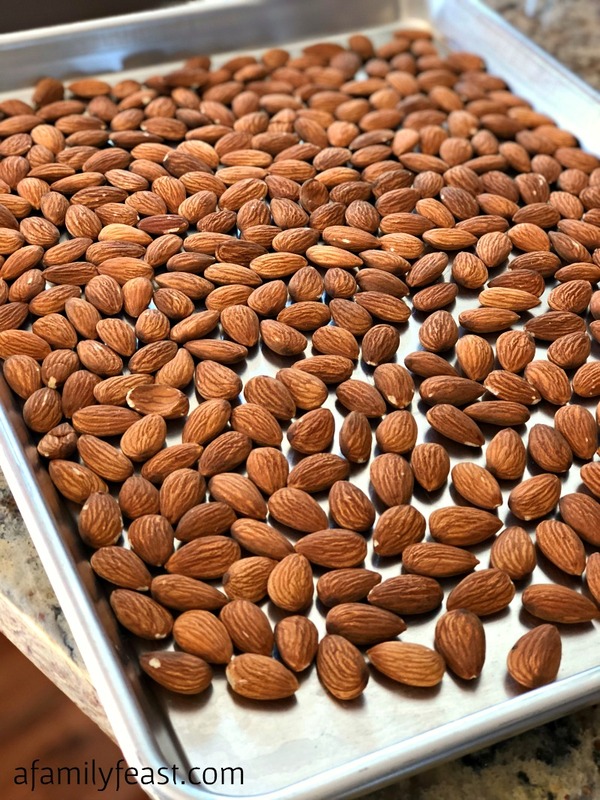 Lay out almonds on a sheet tray and bake for five minutes. Cool slightly but while still warm, place in food processor with steel blade and hit the puree button. 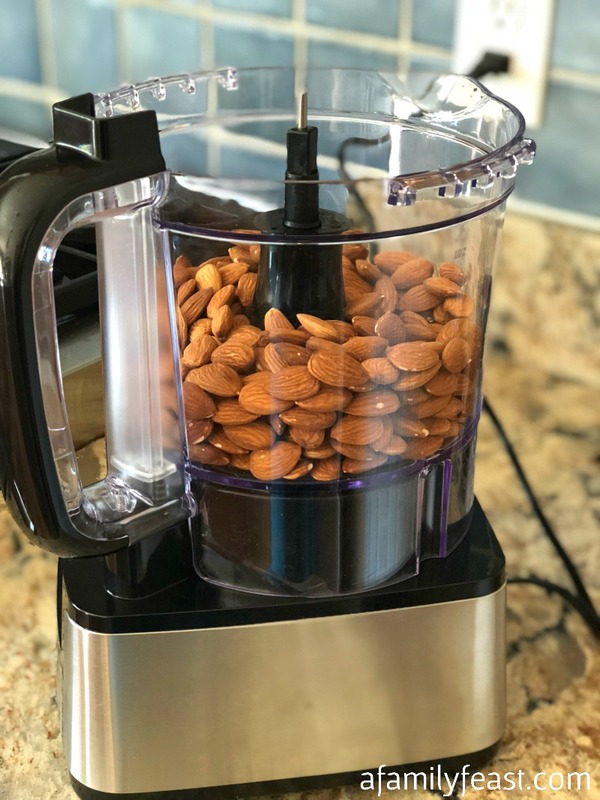 The entire process to go from raw almond to almond butter is about 15 minutes so if your food processor is getting too hot, let it cool every five minutes or so. You will see the pieces get smaller and smaller until the mixture finally starts to turn from a ground to a powder to a creamy texture. During the process, you may need to scrape the sides to make sure that the blades continually work the mixture. Once it starts to move to the creamy stage, the mixture will automatically pick up any ground almonds from the sides as it turns creamy. The finished mixture should be creamy like peanut butter with tiny flecks of almond visible. 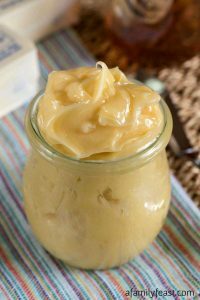 If you process too long, the oils will extract from the almonds and start to separate so once it is creamy and smooth, stop the machine, scrape into a container and serve or store for up to two weeks covered in the refrigerator. Thanks for the almond butter recipe! I didn’t realize how easy it is to make. I’m a big fan of almond butter and have it almost every morning with banana on toast. Hi! I can’t wait to make this. Do you have any tips if the Almond butter is super thick? How could I thin it out a little? 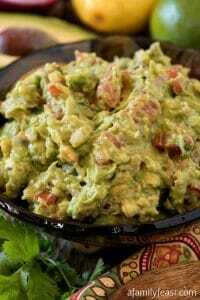 Hi Kimberly – I’ve seen other recipes where they added some coconut oil (or other oils) – but we found that if you continue to process the nuts past the thick and crumbly stage, adding additional oil isn’t really necessary. 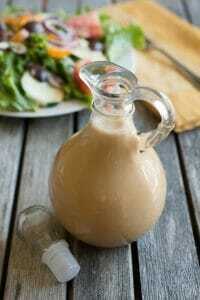 Alternately, if you plan to sweeten your almond butter with honey, that can also help! What a treat ! Thank you so much ! A riff that we enjoy at our house is – smoked almonds. We just buy a big bag at Costco and dump about 2 cups straight in the food processor, following the same instructions. Talk about yummy! I like put a heaping tablespoon in my morning smoothies. That sounds amazing Lisa! (We’ve got to look for those smoked almonds the next time we shop at Costco!) Thanks for the suggestion!